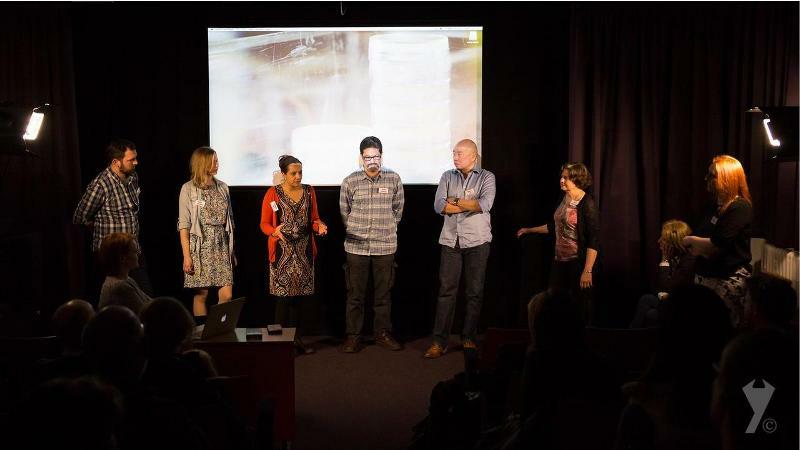 Researchers from the Gurdon Institute, academics, students and graduates from the Cambridge School of Art and filmmakers from local creative agency brandAnonymous were joined by the public to discuss how film can create public engagement to promote scientific research. Our panellists introduced short excerpts from films they were involved in and shared what they learned during the production process. Responding to questions from the audience, they explained their respective standpoints and provided insights into scientific filmmaking. The screening and presentation was followed by an informal gathering of scientists, filmmakers, academics and students that offered time and opportunity to further discuss the engagement potential of film to the widest possible community. Prof. Topun Austin, Consultant Neonatologist, Cambridge Neuroscience, lead at the Evelyn Perinatal Imaging Centre (EPIC), based at the Rosie Hospital, Cambridge and Honorary Professor of Neurophotonics at University College London.